Now that you have your own private oasis to enjoy, you are probably considering a few other necessities that come with it. Pool fencing is an essential safety barrier for young children, and often necessary for satisfying residential swimming pool regulations in place for your city or state. There are many varieties of fencing to choose from, and one of the best is removable mesh. 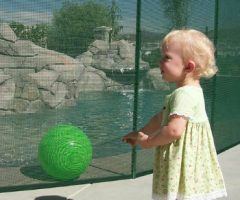 Here are three great reasons to install a mesh removable swimming pool fence around your new pool. Mesh fencing is semi-transparent. This adds to the aesthetic allure as well as making the pool safer. It’s easier to keep an eye on your children and guests while they swim and to notice if anyone is swimming who shouldn’t be. Typical fences may block your view while you are indoors due to the material. With transparent mesh, you can still enjoy the sight of the sparkling waters, even from inside of your house. A removable pool fence is a great option that provides safety, visibility, and convenience for your pool. Removable swimming pool fences are convenient and designed to be removed. Depending on the fence’s height and length, it may only take you a few minutes to remove it from the area for easy access. 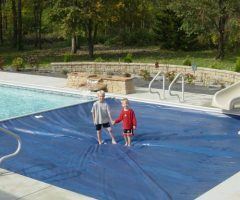 When it comes time to host summer pool parties and you need the extra room, you can quickly reclaim space on your pool deck. You also have more options for where to place mesh fencing. Other fence types must usually surround the entire deck, which makes for even more work and cost. With a removable mesh pool fence, you can either have it strategically placed close to the edges of the pool or around the deck for convenience and aesthetics. Speaking of aesthetics, you also have a number of different color choices to select from. If a color is not offered or shown, you can have a custom color used to create your fence. Thus, removable pool fences allow for creativity, safety, and convenience. Removable pool fences are also long-lasting and durable. All-Safe mesh pool fences come with an amazing lifetime warranty. It’s important to get pool products you know you’ll actually use. Mesh fencing is easier to use, install, and comes at a lower cost than just about any pool fence type. Other fences may take several days or weeks to complete, coming as a full-fledged home improvement task that can get expensive in a hurry. A removable pool fence takes up to two days to install and is more cost-effective. The prices for All-Safe removable swimming pool fences start at around $1500. 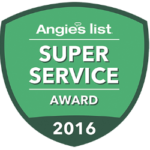 Your local All-Safe dealer is a professional who can help you determine the best safety solution for your pool. Find your dealer and schedule a free on-site consultation.